The Loop computer holder is a strong and lightweight solution for computer storage. 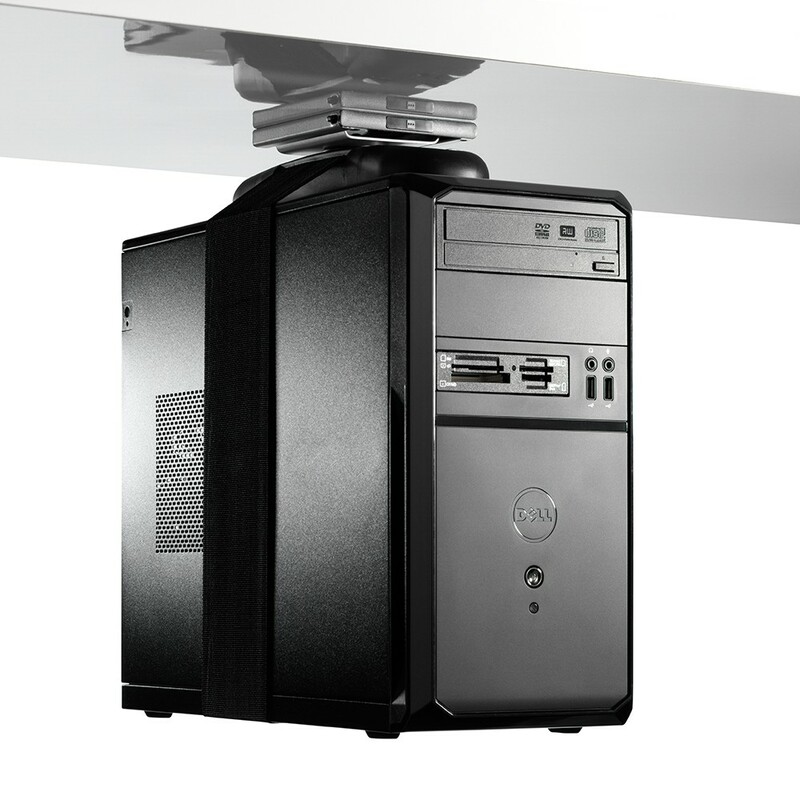 Quick and simple to install, Loop computer holders have a black strap to house the computer which creates minimal visual impact on the workspace. It is a useful, simple space saving solution that supports the computer by removing it from the desk and floor, away from potential damage from dust, feet and vacuum cleaners. 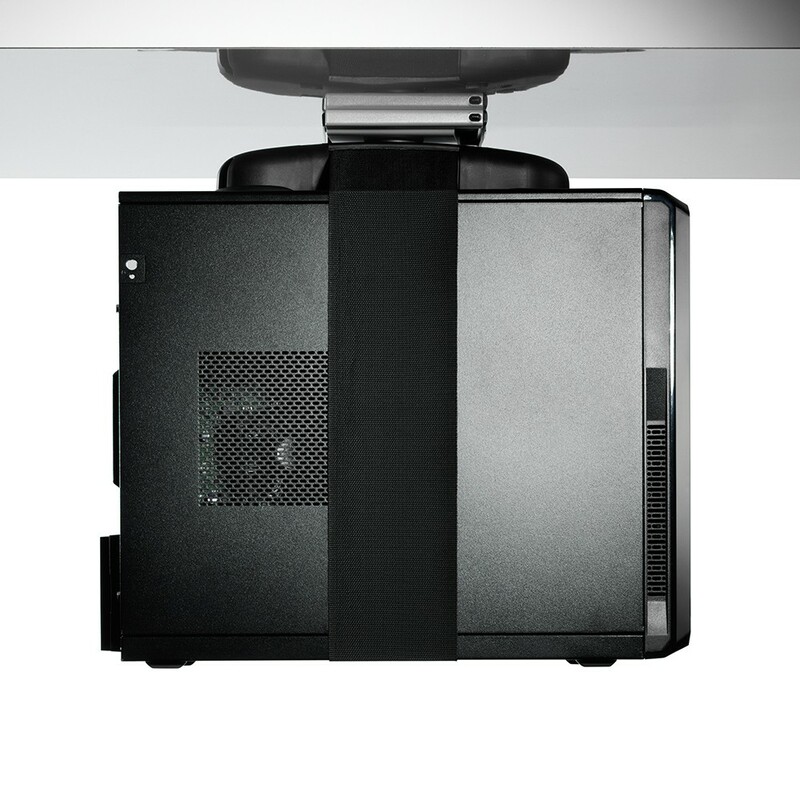 The Loop holder has a glass filled nylon body, that can be fitted directly under the desk, with an optional slide and rotate mechanism. Loop supports the computer by webbing, which is tightened by a ratchet mechanism and is fully adjustable. Simple, light and effective computer holder. With a minimalist black strap, Loop integrates seamlessly with the desk. Minimum materials used, provides lightweight solution for shipping and storage. Easy to install, computer is supported by webbing which is easily tightened by a ratchet mechanism. Fully adjustable, adapts to any shape. Economically packaged to minimise logistical costs and packaging waste.